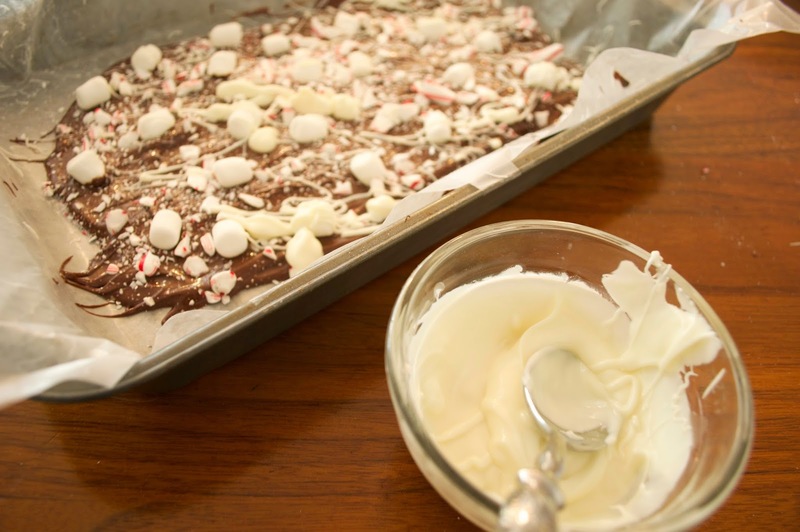 One of my favorite things to make throughout the Holiday season is peppermint bark. Not only is it so, so easy (it literally only takes a few minutes plus some time to cool in the refrigerator), but it is totally customizable so everyone can find a combination they love. 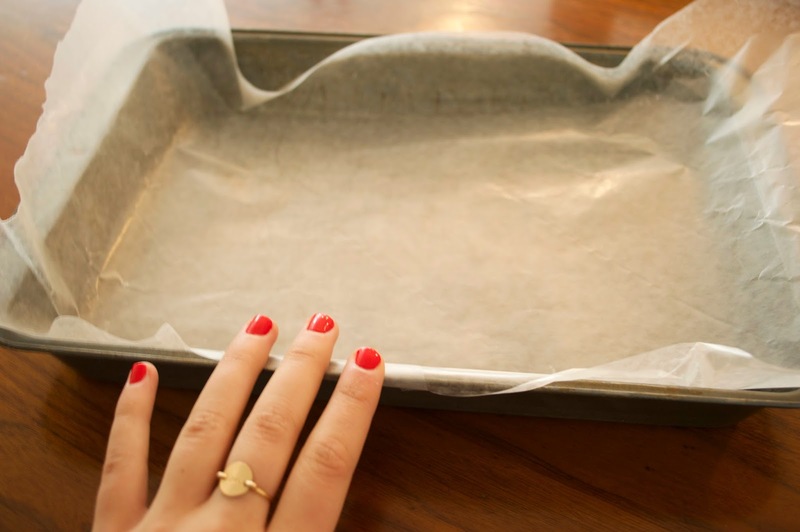 For this recipe, all you have to do is put some wax paper in a pan (9 x 13 is the size I used) and fill it with a bag's worth of melted semi-sweet chocolate chips. 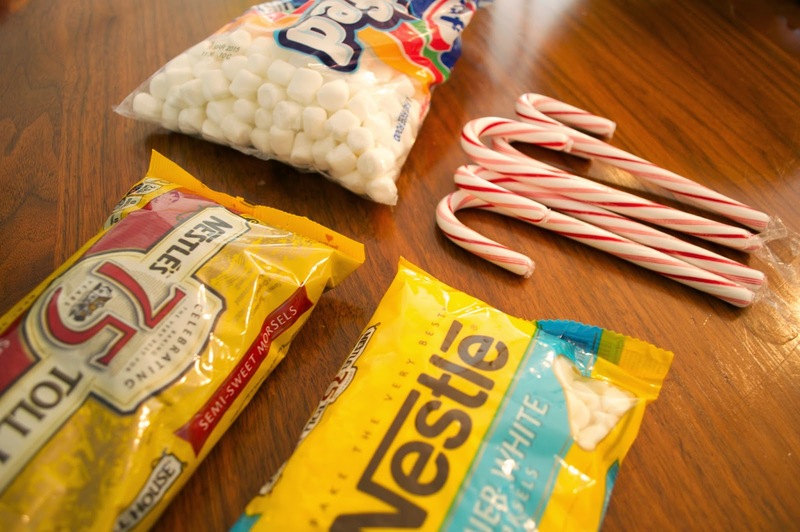 Before it hardens, sprinkle it with crushed peppermint (I crushed about 2 candy canes) and mini marshmallows to taste. 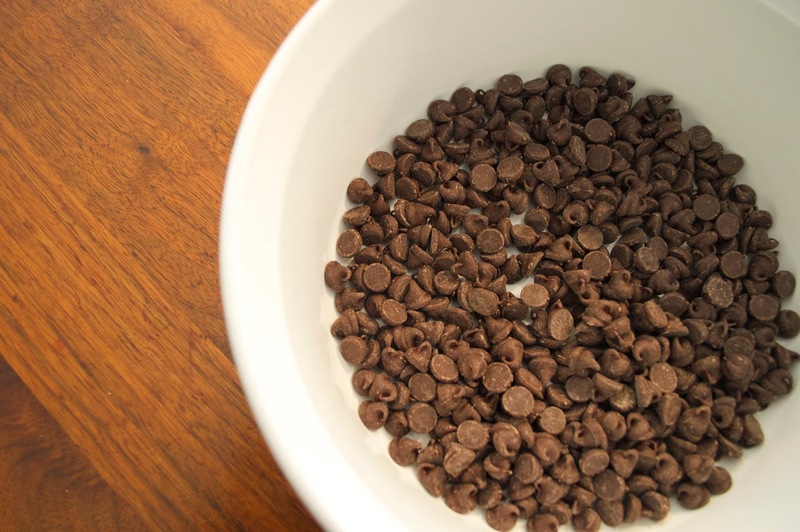 Then, melt half a cup of white chocolate chips and drizzle it on top. Leave it in the refrigerator for an hour and the bark is ready to cut! I like to cut it kind of randomly so there are different sized pieces, and then since I was giving half of it as a gift, I wrapped the pieces in a little plastic gift bag and tied it with a plaid ribbon. 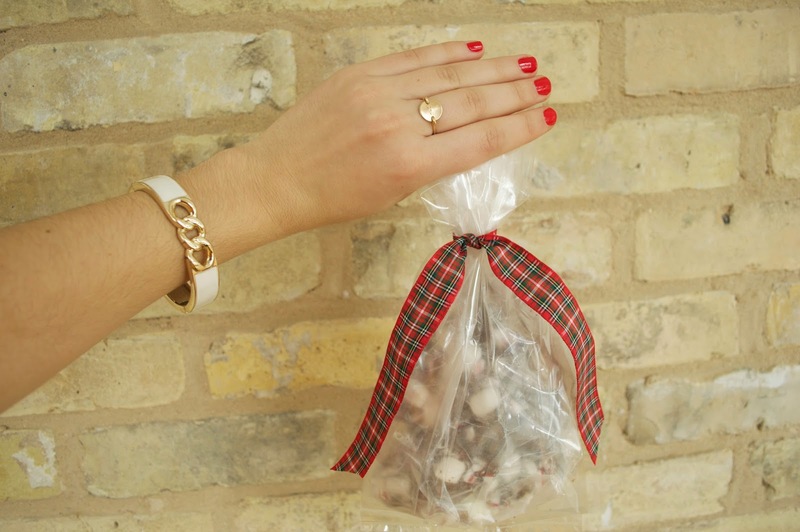 Isn't it just the most adorable hostess gift?! 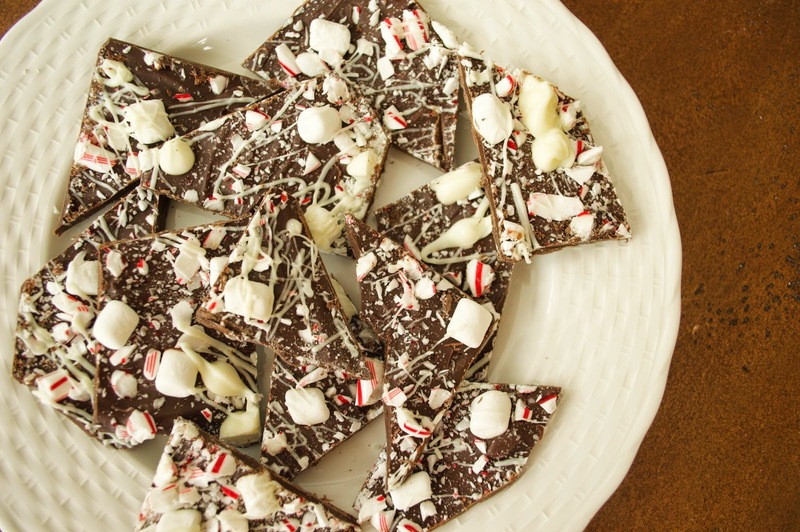 Are you a peppermint bark fan? Yum! You bet I'm saving this for later! 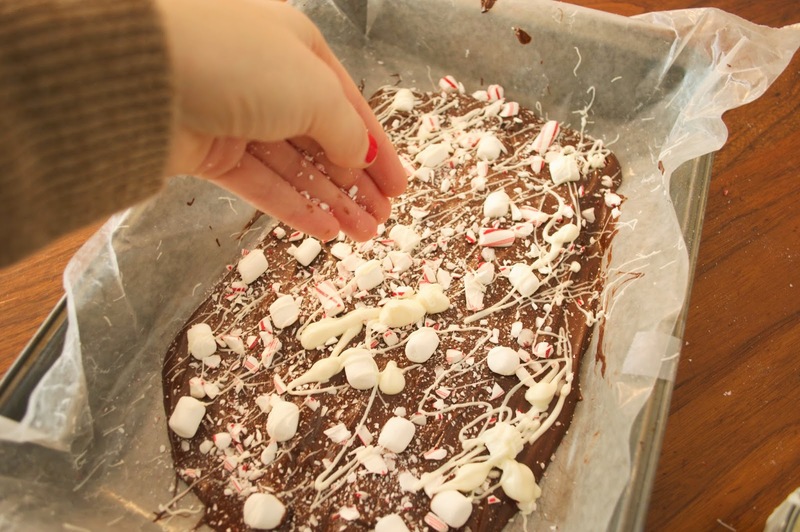 I've always wanted to make peppermint bark for the holidays, thanks for the recipe!